Buried within the layers of complexity inside any technical system are the simple settings of multiple parameters and/or settings. You simply need to get the right pieces into the right places. You know - like a jigsaw puzzle. And, once the puzzle starts to reveal itself, the understanding of what the picture is becomes so much more clear. That's the goal of this particular video when it comes to connecting to the myriad of possible Google services. 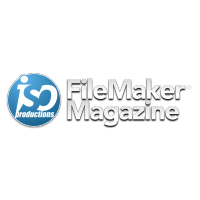 FileMaker Pro, in the last few years, had improved by leaps and bounds with regards to working with external systems and services. With everything you need now built in the the native client, you can easily connect to Google's services and make the most of them right within your own FileMaker solution. You may just need a head start on the understanding in order to see the whole picture. Fortunate, that's exactly what this video will do for you. If you need to connect to Google services for any reason then look no further!